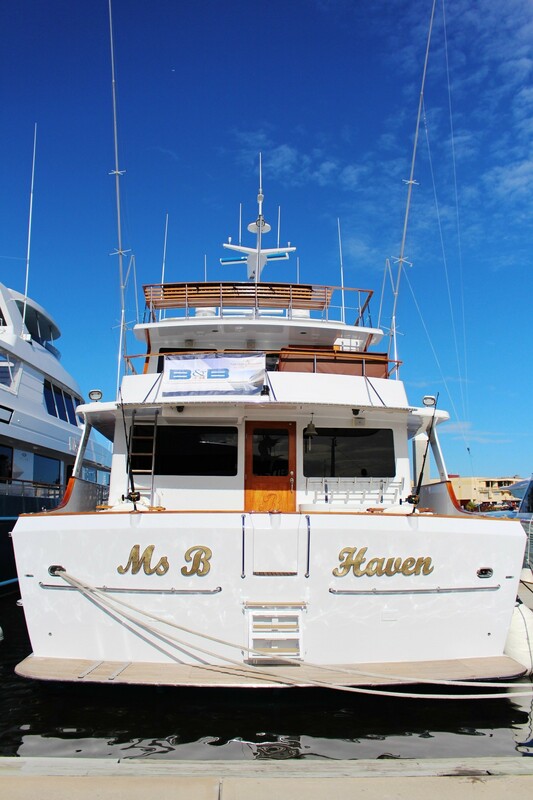 Motor yacht MS B HAVEN (formerly Lisselan Castle) was launched by Knight & Carver of San Diego in 1983, she underwent extensive refits in 2009 and 2014. 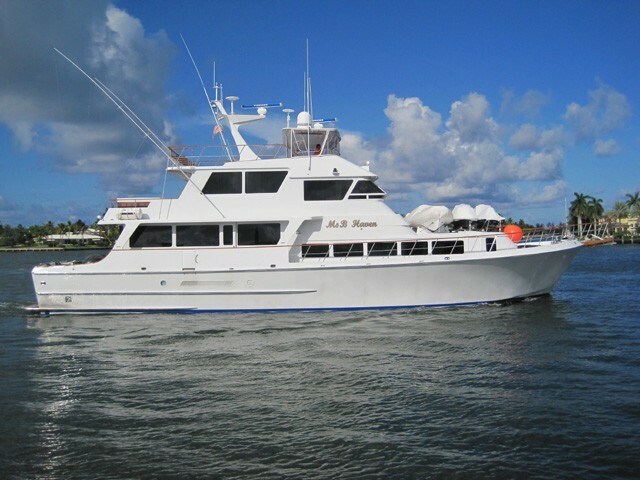 Offering accommodation for up to 10 charter guests, in 5 cabins, M/Y MS B HAVEN is available for yacht charters in the idyllic Panama area of Central America year round. 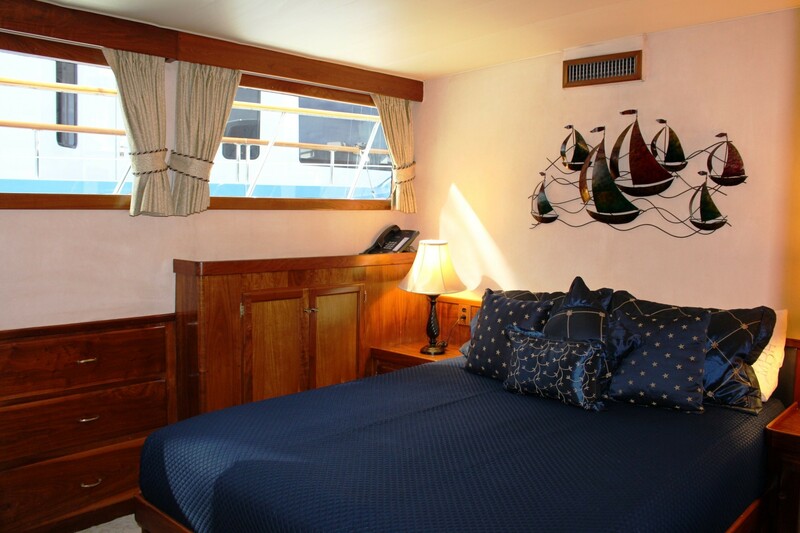 Crewed charter yacht MS B HAVEN features warm woods throughout, her timeless décor is a harmonious blend of neutrals, with definitive marine accents. 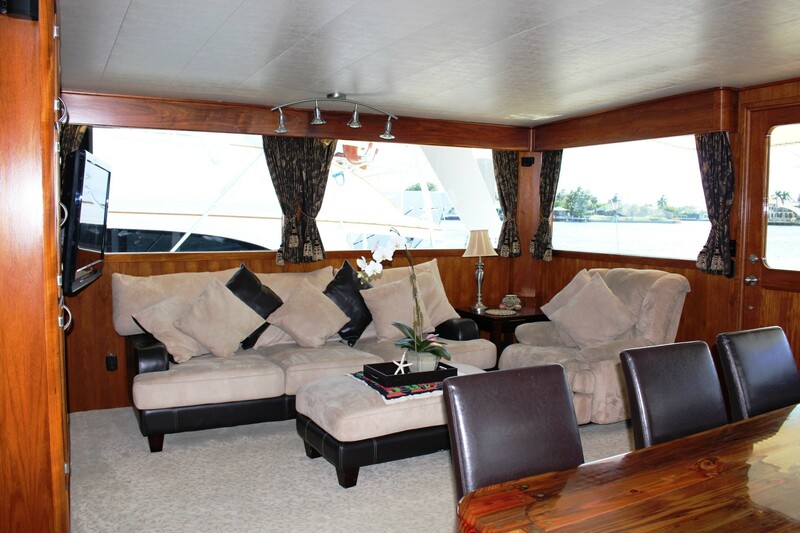 The main salon is an open plan, boasting the comfortable lounge aft on the starboard side, with the formal dining to port. 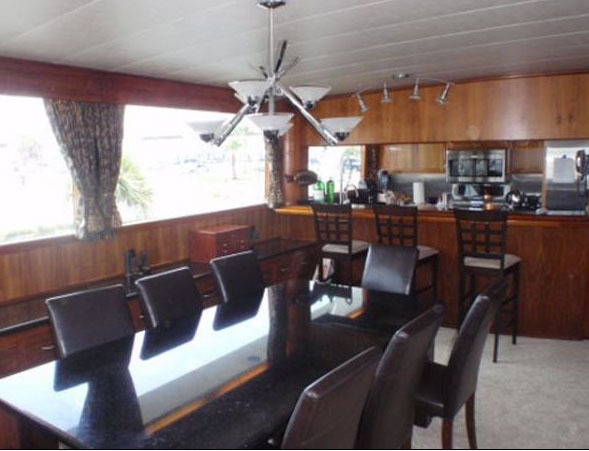 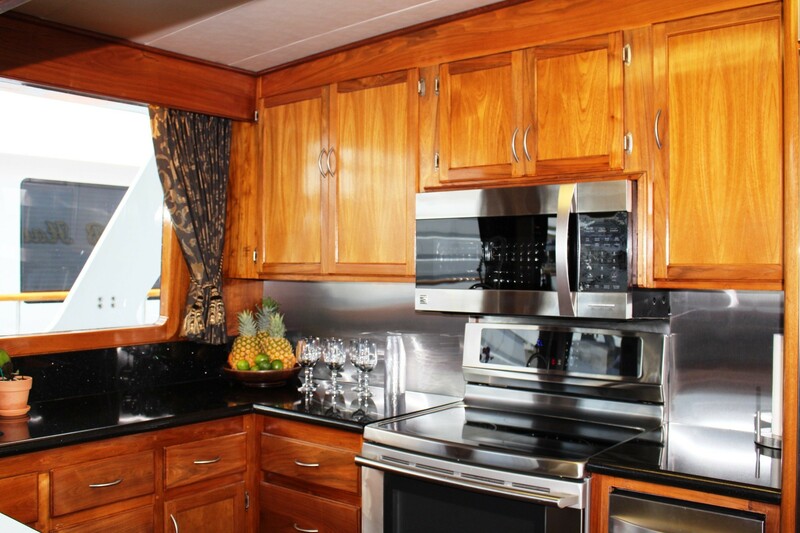 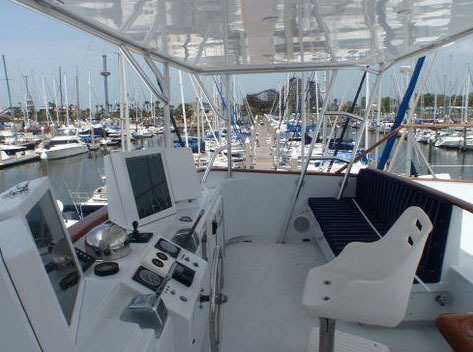 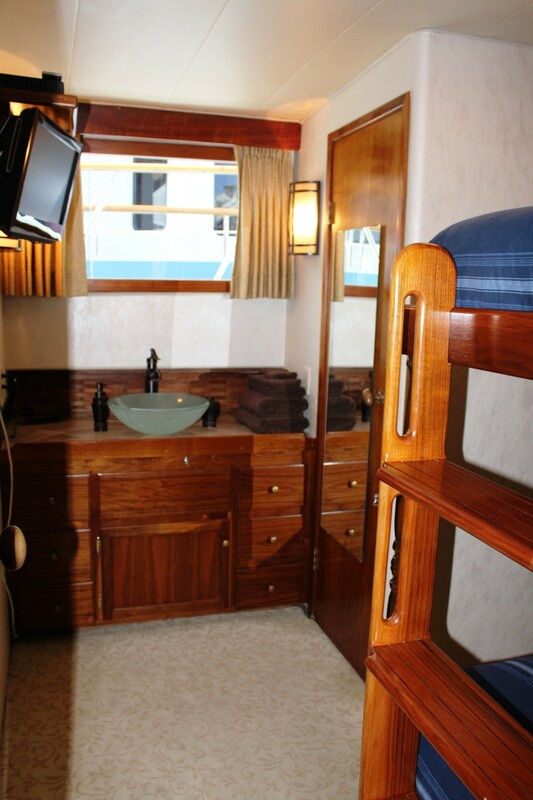 A large fully equipped galley is forward, with a wet bar and breakfast bar space, perfect for entertaining. 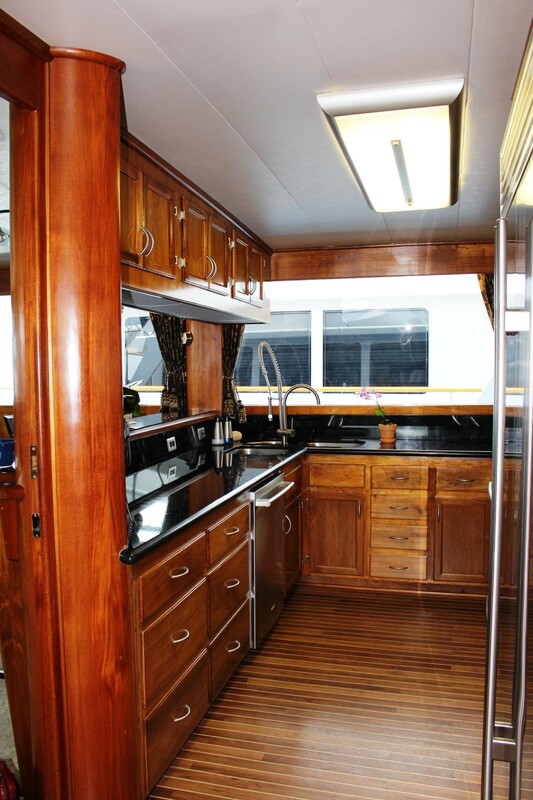 On the starboard side amidships is the foyer, drinks fridge and access to the spacious pilot house forward. 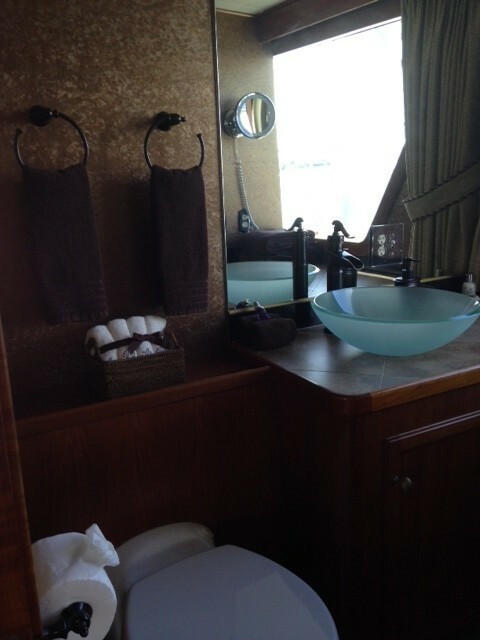 Steps from the foyer lead to the upper deck and master stateroom complete with private deck and deluxe Jacuzzi tub. 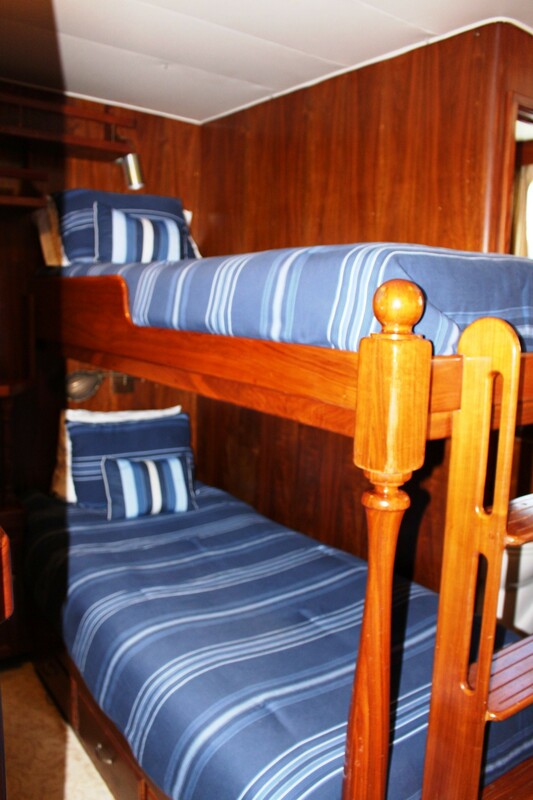 Further guest accommodation is forward of the salon, via a few steps, allowing each cabin to benefit from a slightly raised position, with windows. 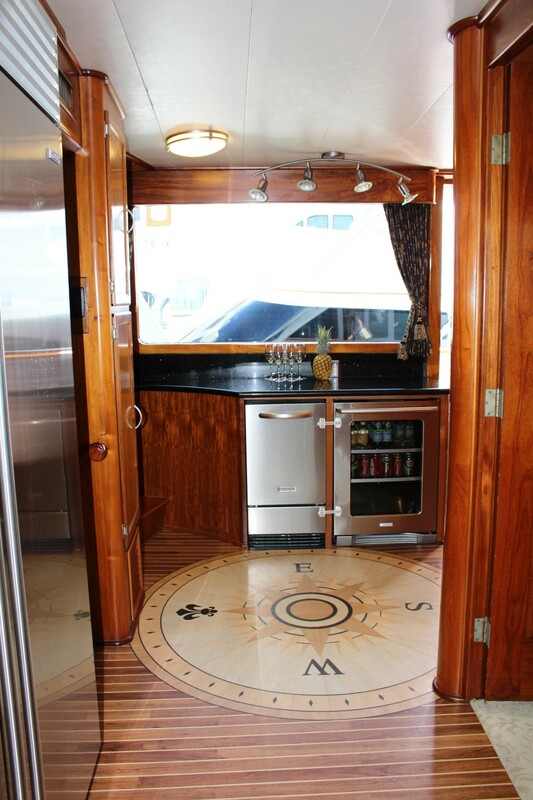 Exterior living is generous on the Knight and Carver motor yacht MS B HAVEN. 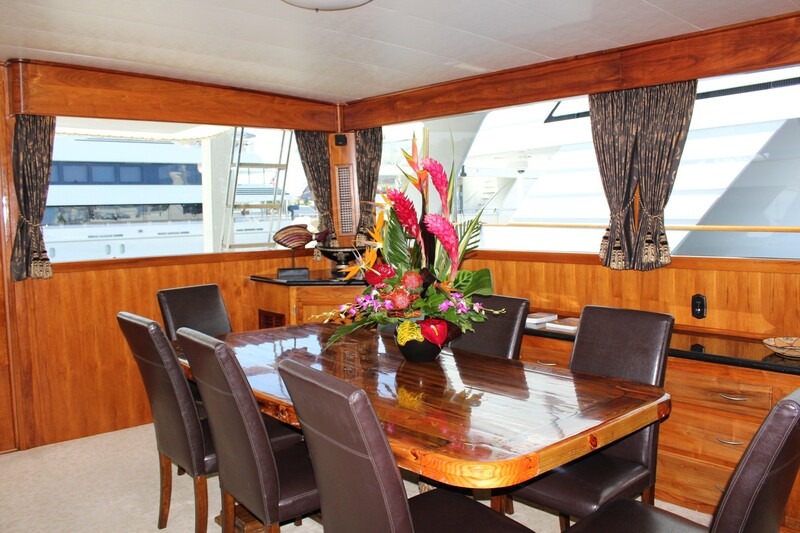 The aft deck is adjacent to the salon and offers a large teak deck space, alfresco dining option and easy access gate, to the extended swim platform. 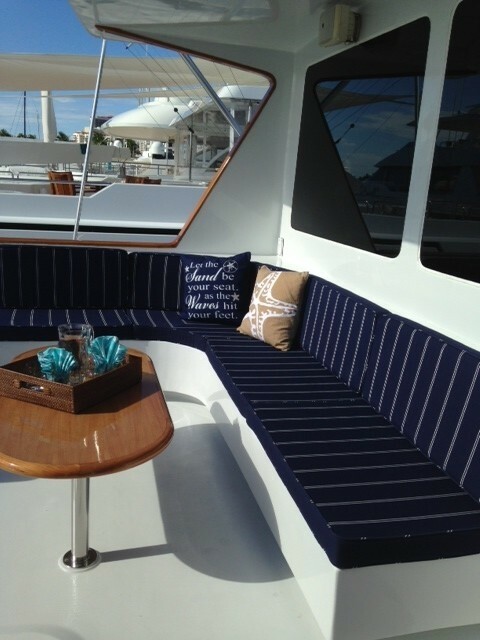 Side decks wrap around the yacht 360°, effortlessly enabling guests to walk forward and enjoy the built in upholstered seating. 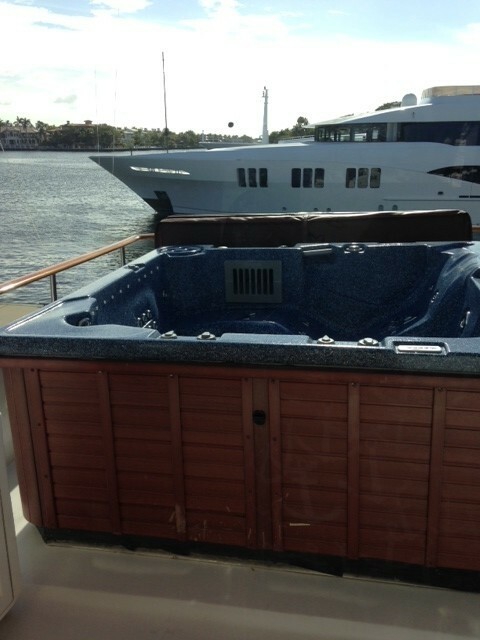 Aft of the master cabin, the private deck offers a seating nook and Jacuzzi tub. 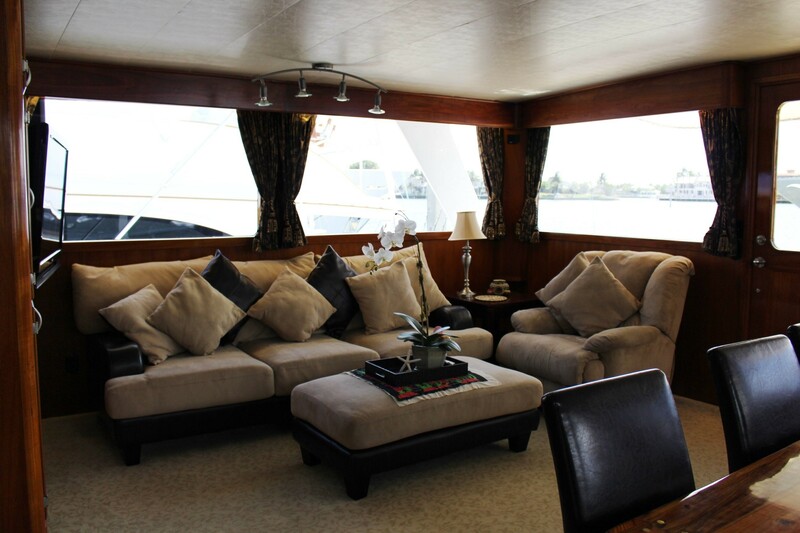 Above the master cabin is the flybridge, where plenty of additional seating and sunning can be enjoyed. 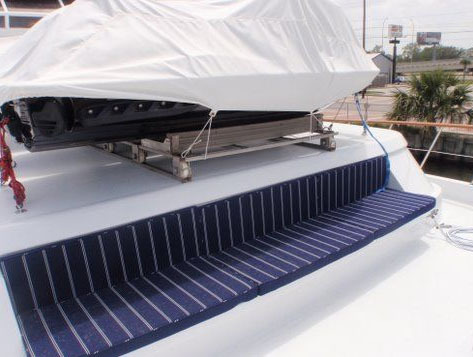 All exterior decks can be accessed from both the interior and exterior. 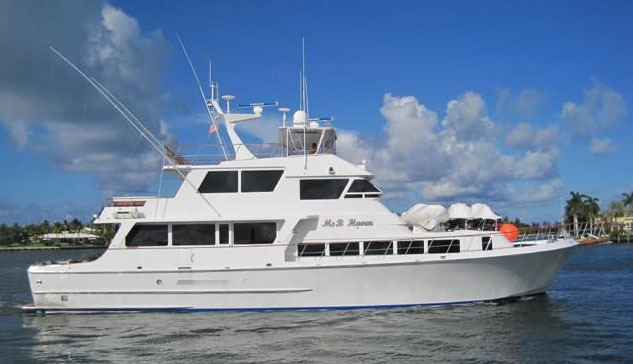 Powered by 2 x CAT 720hp engines, the MS B HAVEN motor yacht cruises at a comfortable 10 – 12 knots. 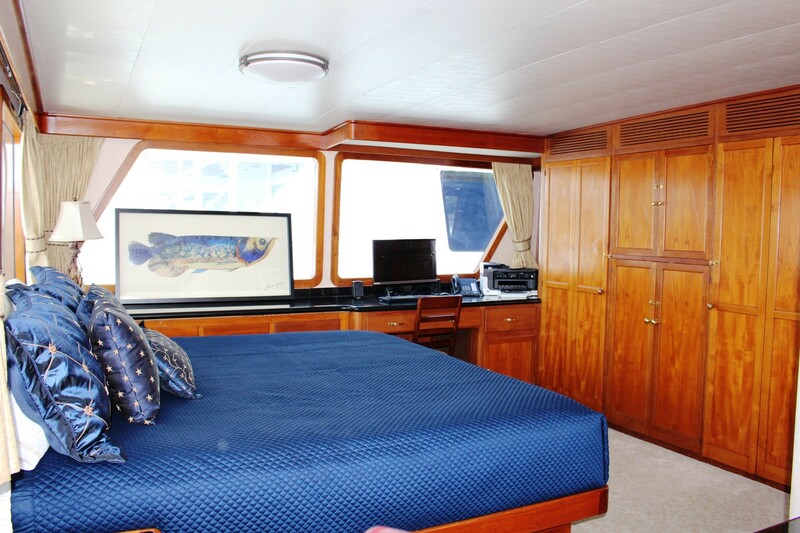 Crewed charter yacht MS B HAVEN offers accommodation in 1 master, 1 VIP, 1 twin cabin and 2 bunk bed cabins. 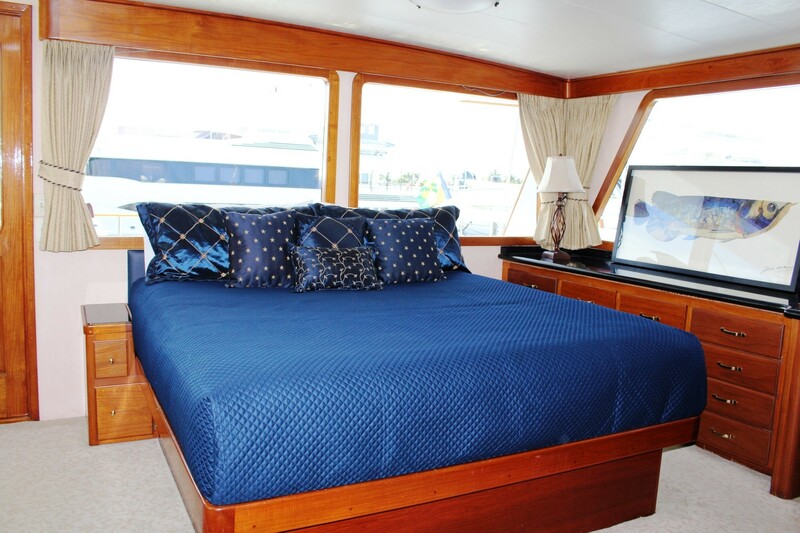 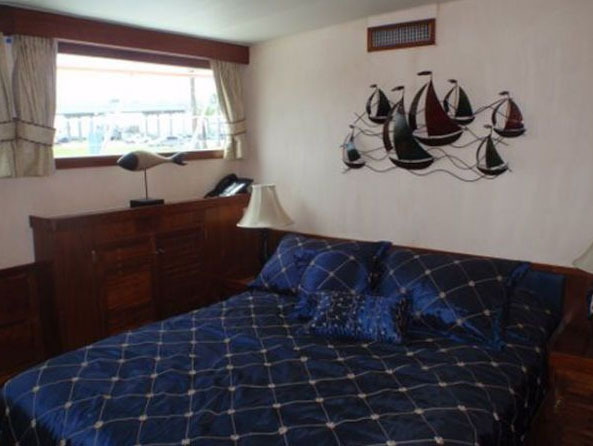 The master stateroom is on the upper deck and boasts a king size bed and private sundeck, with seating and Jacuzzi tub. 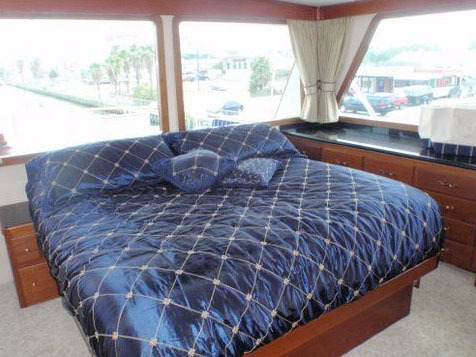 Forward of the salon, the VIP cabin offers a queen size bed. 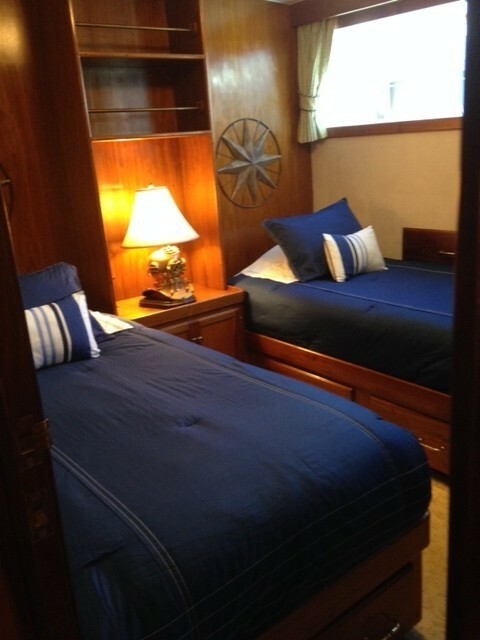 One twin cabin has side by side single beds, while a further 2 guest cabins offer upper and lower bunk beds. 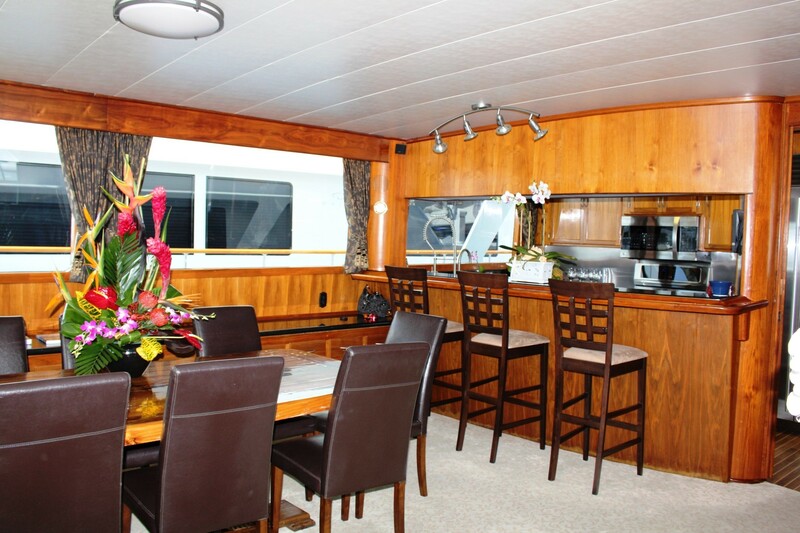 M/Y MS B HAVEN is fully air conditioned throughout, for optimum comfort. 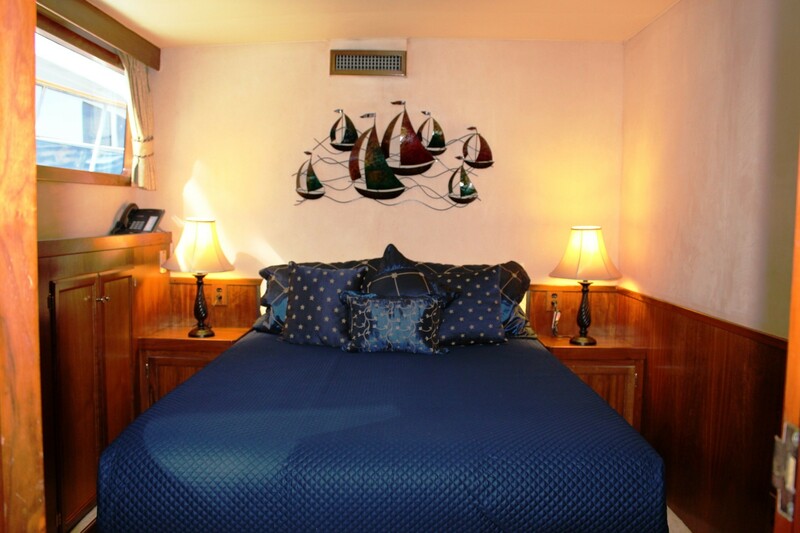 A professional crew of 4 has separate quarters forward, with separate access, ensuring guest privacy. 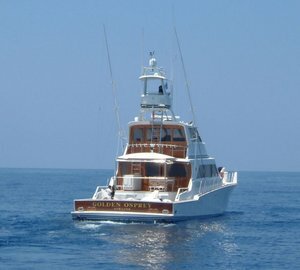 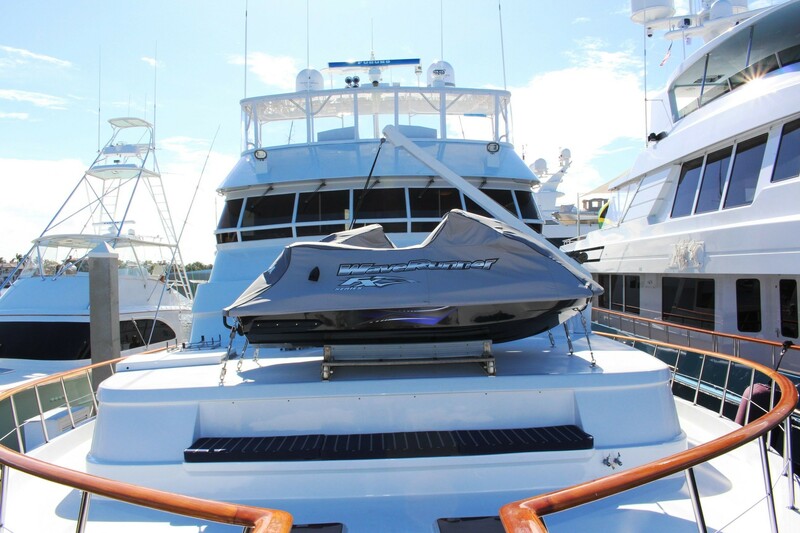 Tenders & Toys onboard the MS B HAVEN yacht include a 37’ Strike Center Console and 2 Jet Skis. 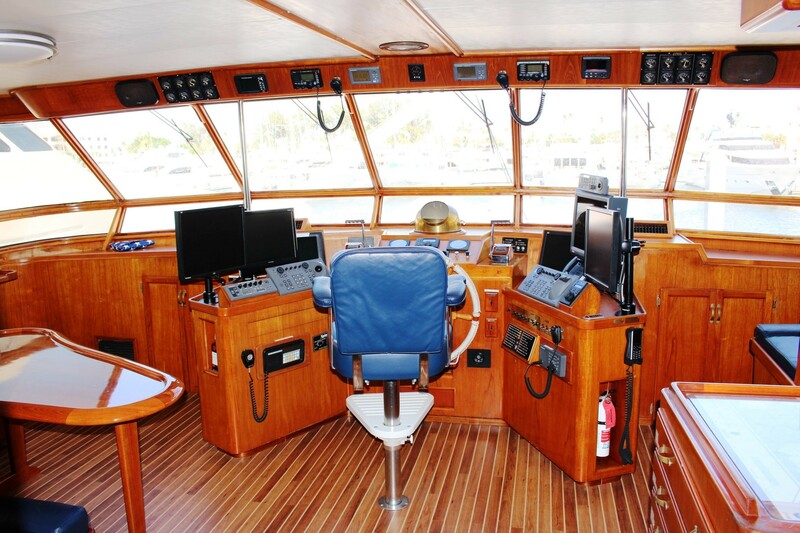 Communications include Panasonic Satellite phone system with intercom, 2 Icom IC M504 VHF Radios, Icom Command Mic VHF Radio, Security camera system-Samsung exterior monitor-Viewsonic interior monitor system. 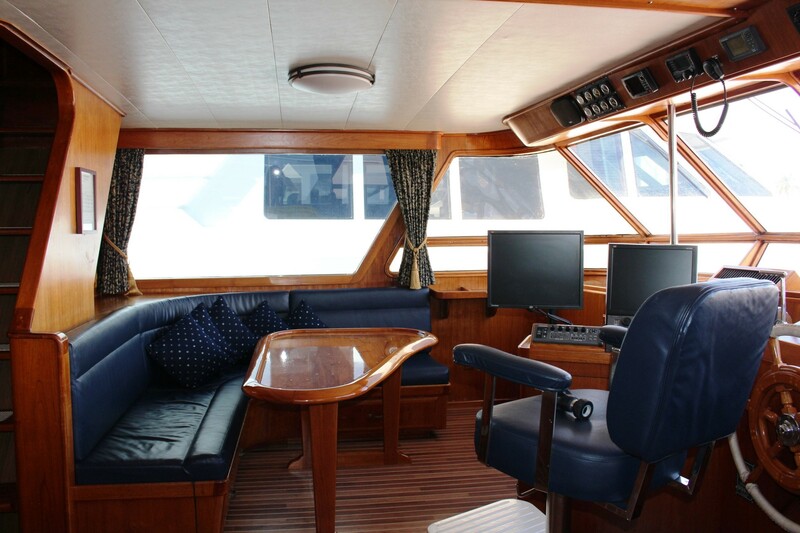 Audio Visual Equipment and Deck Facilities include Satellite TV system, Security camera system-Samsung exterior monitor-Viewsonic interior monitor system, Electric fold down TV in fishing cockpit w/remote, Teak deck in the fishing cockpit, Custom tackle center, 2 Fighting chairs, Teak table and chairs, 2 Furuno RCU-014 color radars, Furuno FCV295 color fish finder, FLIR- Night Vision System-Thermal Imaging System, Furuno Side Scan Sonar System.